Karen Pilley joined MAP on August 5, 2013 as Executive Vice President of the MAP Billing Division. 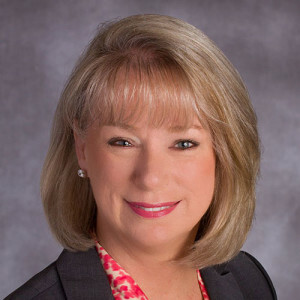 Karen brings 30+ years of experience in the areas of healthcare billing/collection, revenue cycle management, government and managed care payer regulation and compliance. Successfully leading a team of reimbursement professionals to achieve regional and corporate objectives. Implementing solutions that improve operational efficiencies using best practices and driving results. Karen has held positions with Virtual Radiology, a network of onsite and teleradiology physicians, SPI Healthcare, one of the largest revenue cycle management organizations with 500+ employees located in Chicago and Manila and US Oncology, as the Vice President of Reimbursement Services responsible for the health of a $700 MM AR and $3.5 billion in net collections. Karen has experience building healthcare business offices and patient support service programs using Lean Six Sigma principles. She is a certified coder and licensed instructor with the AAPC. Other affiliations include MGMA, RBMA, AHIMA and HBMA. Karen also has a nursing degree from Lewis A Wilson School of Nursing in New York.